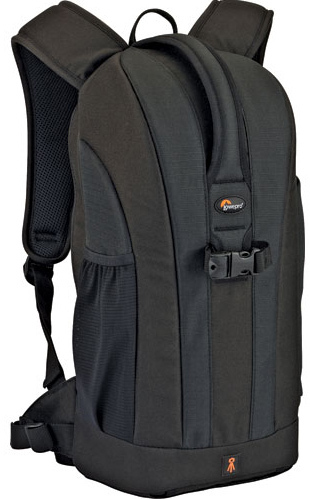 The Lowepro Flipside 200 Backpack is a slim camera bag suitable for 1 DSLR, a short telephoto, plus approximately 2 additional compact lenses. 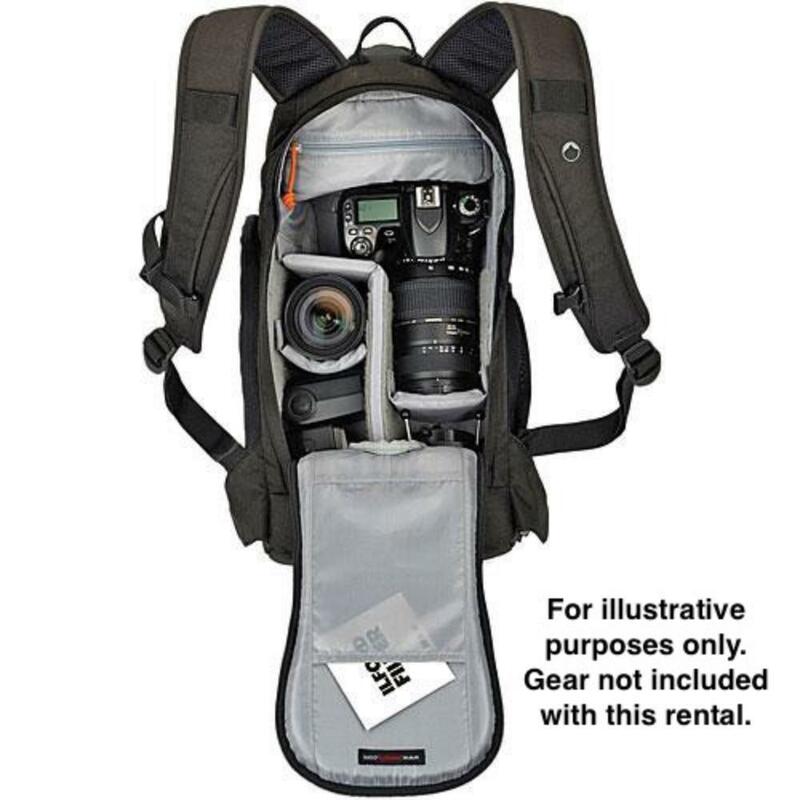 It has a zippered accessory pouch that is removable, a waist belt, side pouch, front pouch, and front straps for carrying a tripod. A back compartment allows safe access to your gear. This backpack is ideal for day trips. 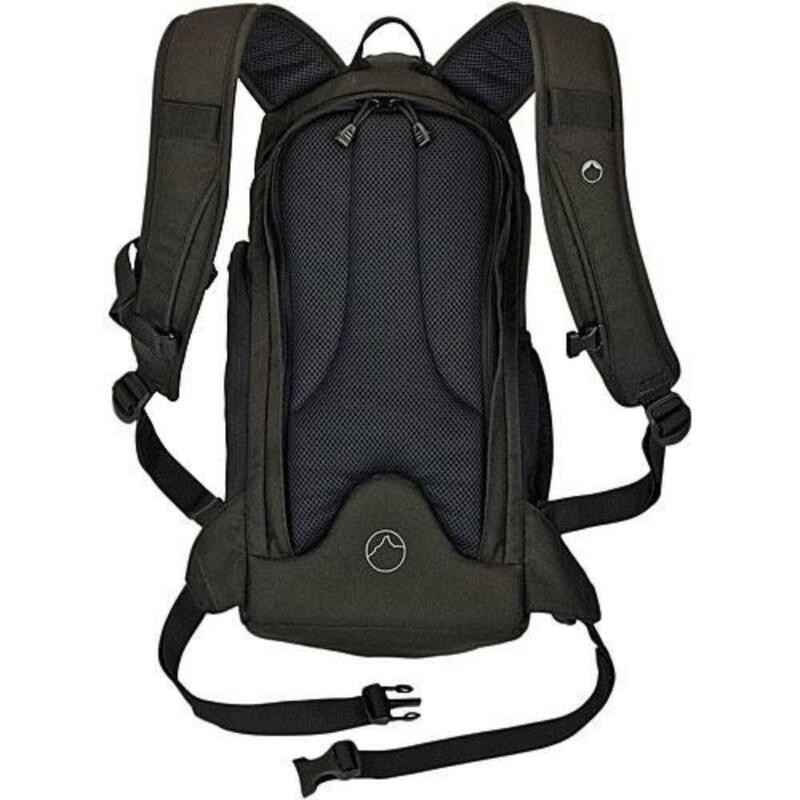 If you're looking for a backpack that is just like this one but a little bit larger, please see the Lowepro Flipside 300 Backpack or try the Lowepro Flipside 400 AW Backpack for something much larger but in a similar style. • Interior Dimensions: 7 x 5 x 15"
• Exterior Dimensions: 8.6 x 6.2 x 16.5"